TIPA’s bio-based and 100 per cent compostable packaging, which has similar mechanical and shelf-life properties to ordinary plastic, are a game changer in the flexible packaging market. TIPA’s innovations solve a complex multitude of challenges: from flexibility, sealing strength, manufacturing challenges, adaptability to current packaging and production practices, shelf life requirements and more. Flexible packaging is a growing segment of the global packaging market and it was used as the starting point for TIPA's biodegradable packaging solution. At present, most flexible packaging cannot be practically recycled (less than five per cent is currently recycled). Until now bio-plastics have not delivered on retaining the same packaging qualities as their traditional plastic formulations, while also being capable of biodegrading 100 per cent with no harmful footprint. The main applications that are available based on compostable materials are rigid parts, disposable utensils, shopping and waste bags. The main reason for this derives from the properties of compostable/biodegradable polymers. Those materials tend to break easily, are too stiff, not transparent and are often weak. With the same end-of-life organic waste properties as the food it wraps, TIPA’s innovative packaging is just as transparent, durable and impermeable as ordinary plastic packaging. However, unlike other commonly used materials on the market that can take up to 500 years to decay, TIPA packaging biologically decomposes in just 180 days and becomes a fertiliser for soil. 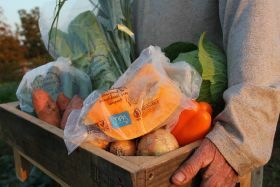 The company’s packaging films are also certified for the stringent standards of the EU and US compostable regulations. Carbon Gold produces enriched biochar soil and substrate additives, using a highly purified form of charcoal enriched with beneficial microbes and trace elements that is used to improve nutrient uptake and plant vitality. But while organic growers were quick to embrace enriched biochar and experienced an average 11 per cent yield increase, conventional growers continued to rely on curative measures. Curative measures such as fungicides and pesticides leave crops vulnerable in other areas, which results in further treatments in a snowball effect that pushes up overheads. 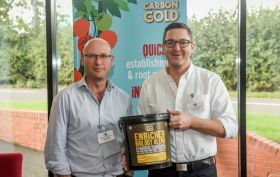 Recognising that conventional growers could also benefit from a preventative rather than curative approach, Carbon Gold developed Enriched Biology Blend, a biochar-based substrate amendment enriched with soil bacteria, mycorrhizae and trichoderma fungi and trace minerals designed specifically for conventional growing systems including rockwool. The natural biology, which could be easily leached if not for the highly porous biochar housing – creates a healthy, living environment in substrates, improving plant health and increasing productivity. In high-spec glasshouse trials in salad crops and soft fruit, non-organic growers have experienced an average 7.2% increase in yield despite the presence of diseases including Rhizoctonia; Pythium; Verticillium; Phytophthora (soil borne), brown root rot, Botrytis cinerea and powdery mildew. Without the need to rely on curative treatments, customer overheads are lowering in what is the first example of cross-pollination of best practice from organic to conventional production in horticulture. The Market Place crate is an attractive wood-effect plastic container from Polymer Logistics that delivers a "farm fresh" look to produce departments, catching customers’ attention and boosting retailers’ sales. Wal-Mart, Carrefour, Tesco ‘One Stop’ shops and “Sewell on the go” – a British chain of convenience stores – have signed long-term agreements with Polymer Logistics based on thorough studies, pilots and customer acceptance surveys. 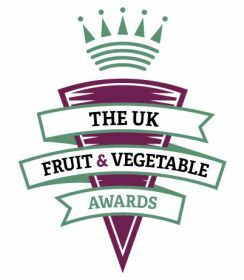 During pilots, retailers reported a significant uplift of over three per cent in produce sales when using the Market Place crate. Customer surveys showed a clear preference of over 85 per cent for the wood-look crates compared to the industrial plastic-looking green or black crates. Customers appreciated the fresh ‘back-to-nature’ look, which creates a traditional market feel in the store. 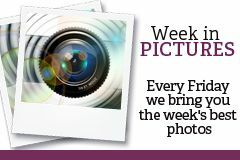 In today’s “first impression counts” environment there’s no doubt that where retailers deploy the Market Place crate, an-uplift in sales will follow. The produce department, typically located at the front of the supermarket, drives foot traffic for the overall outlet. So any improvement there has an exponential benefit on total store sales. Retailers have introduced wooden plinths in the department to emphasise the freshness of produce offered. However when it comes to the actual packaging of produce, the use of coloured industrial-looking crates is commonplace. Market Place crates provide an appealing alternative to standard plastic containers without compromising any of the hygiene, cost effectiveness or environmental benefits associated with reusable packaging. They also offer a more longlasting, sanitary and user-friendly experience than is possible with actual wood containers. In October 2014 we introduced our first-to-market quad packs to Waitrose own-brand potatoes. 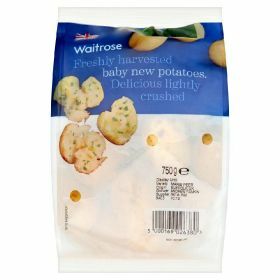 This new revolutionary packaging provided an increased print area, which prevented light from damaging the potatoes reducing greening on shelf. It also uses the groundbreaking Perfotec technology, which helps control the atmosphere in pack allowing the packaging, and potatoes, to breathe, improving quality of the potatoes. The old packaging left the product vulnerable to light and display options are limited. With the new packaging, the packaging protects the product and Perfotec technology helps to improve shelf life. It also means the product is able to be displayed in a variety of ways and has a more premium appearance. As well as offering two additional days’ shelf life, the new packaging has halved waste on the lines we have introduced it in since its launch. Not only has the new packaging proved excellent for waste reduction in branch, it provides products with a premium appearance, point of difference and allows for improved presentation on shelf, improving customers shopping experience. All of these attributes have resulted in a 10 per cent sales increase on Waitrose baby potatoes. Following this success we’re rolling it out across the whole Waitrose potato range, and it’s already providing positive results, with a 30 per cent initial sales increase. 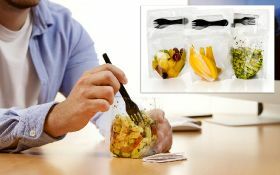 Leading international flexible packaging technology innovator Excelsior Technologies has launched Snack&Go – a unique pouch design which offers an innovative and environmentally conscious alternative to bulkier on-the-go snacking solutions – ensuring no-mess, minimum packaging waste and reduced risk of product contamination. Excelsior Technologies sales director Julie Eller said: “The UK's food-to-go industry is worth around £15 billion a year, and is hungry for eye-catching and highly-functional packaging innovations. Snack&Go combines innovation with post-harvest science to maximise shelf life on prepared produce. “Excelsior’s proven FreshTECH and CookTECH flexible packaging technologies have enabled the creation of a series of innovations including Snack&Go, Grab&Go and Lunch&Go. These lightweight convenience packs maximise shelf-life presentation and deliver a great consumer experience. Snack&Go is ideal for fruit, snacks and a host of on-the-go snacks and is available fully printed and in a range of substrates. It features a pocket to hold a variety of things such as a fork, sauce or sprinkles. Simply tear the top section and eat from the lightweight ‘pouch bowl’. Excelsior Technologies first launched Snack&Go at the Lunch! 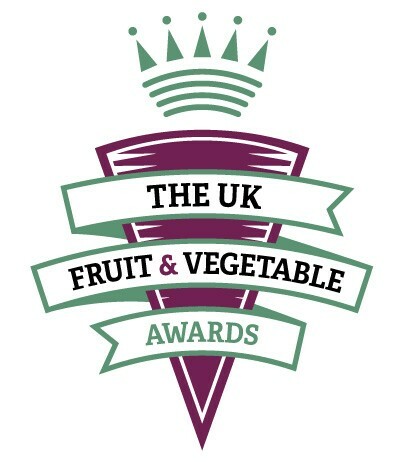 show in London in September and is introducing a range of fresh produce packaging innovations to the American market at the New York Produce Show in December.